TomTom unveiled the future of portable car navigation with the announcement of the new, smart and easy to use TomTom GO range and a complete collection of new and updated TomTom PLUS content & services. TomTom PLUS is TomTom’s offering of content and services to enhance users’ navigation experience and make journeys as stress-free, personal, safe and fun as possible. TomTom’s already substantial TomTom PLUS offering (Voices, Traffic and Weather), TomTom has added Audiobooks and Buddies. In addition, the company has improved TomTom Weather and expanded the TomTom Traffic service to include Road Conditions. TomTom PLUS is now available throughout the US and Europe. The new product range is expected to be available in mid-April 2006. Additional product details including price on the new GO range will be announced soon. 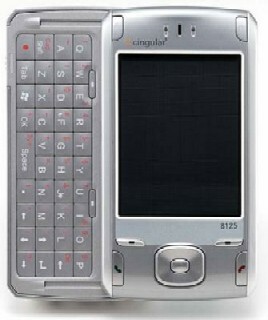 Bonnie Cha has reviewed this mobile phone from Cingular, the 8125. 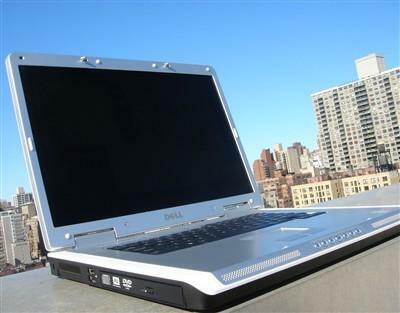 For mobile professionals who need to get work done on the road, the 8125 provides all the tools to do so, he says. Kendra Wall has reviewed this mobile phone from Nokia, the Nokia 6236i. CNET has published the top 100 most popular notebooks. Apple today announced iPod Hi-Fi, an all-new high-fidelity speaker system that works seamlessly with the iPod to redefine the home stereo system. iPod Hi-Fi delivers breathtaking acoustic performance and room-filling sound unlike any other speaker system designed for the iPod in an innovative, all-in-one design that can be powered from a wall socket or by six D-cell batteries. 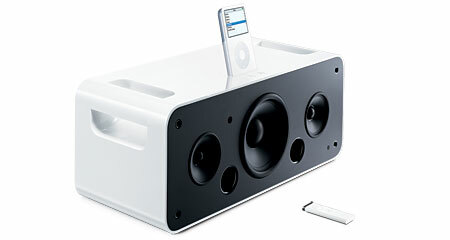 iPod Hi-Fi is easily controlled by the Apple Remote for an amazing stereo experience in any room in the house. iPod Hi-Fi has been designed and engineered by Apple to deliver unrivaled sound quality, realistic sound imaging and optimal audio performance. Its clean, all-in-one design features a unique isolated enclosure system that includes two custom designed wide-range speakers and a tuned, ported bass system, minimizing vibration while maximizing sound quality and allowing users to listen to their favorite music as it was intended with amazing sound clarity and rich, deep bass. iPod Hi-Fi features handles to easily transport your stereo anywhere, a removable front grille with precision-mounting clips, touch-sensitive volume control buttons, the Apple Remote for easy song and volume control from anywhere in the room, a universal power supply incorporated into the all-in-one design so there’s no bulky power brick to weigh it down, and the ability to power iPod Hi-Fi from six D-cell batteries for true portability. Featuring seamless integration with all iPods with a dock connector, iPod Hi-Fi automatically recharges your iPod while docked and displays features of iPod that maximize the iPod Hi-Fi experience such as Tone Control, Large Album Art mode and volume mirroring. * iPod Hi-Fi includes a dual-purpose 3.5-mm auxiliary input that accepts either analog or digital signals for easy connection to a wide range of audio sources. iPod Hi-Fi is compact and can be powered by AC or six D-cell batteries, providing more flexibility than any traditional home stereo and is perfect for use not only at home, but just about anywhere you go without compromising sound quality. Apple today also announced new luxurious leather cases designed specifically for the fifth generation iPod and iPod nano models. The Leather Case for iPod is made with fine, hand-crafted Italian leather and features a soft and durable interior lining for a secure fit, making it the perfect carrying case for iPod or iPod nano. iPod Hi-Fi includes the Apple Remote, a removable grille, an AC power cord and 10 Universal Dock adapters, and is available for $349 (US). The Leather Case for iPod is available in 30GB and 60GB models as well as an iPod nano model, each for $99 (US). 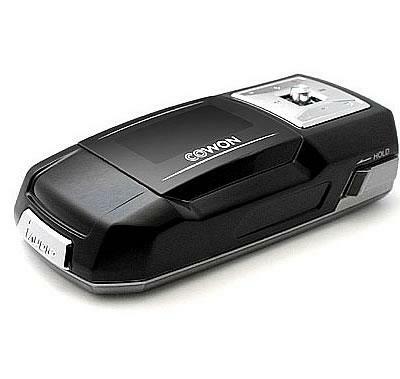 Michael Degnan has reviewed this flash-based MP3-player from Cowon, the iAudio F1. The Cowon iAudio F1's OLED (128x64 pixels) is bright, active, and easy to read, although color is limited to only blue and orange. - The device also has subpar battery life, the USB/power cable is proprietary, and line-in recording maxes out at 128Kbps.